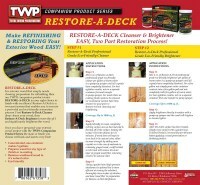 Easy, Two Part Restoration Process! 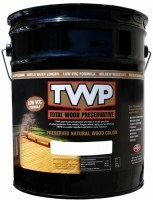 Are you ready to bring your exterior wood back to life? 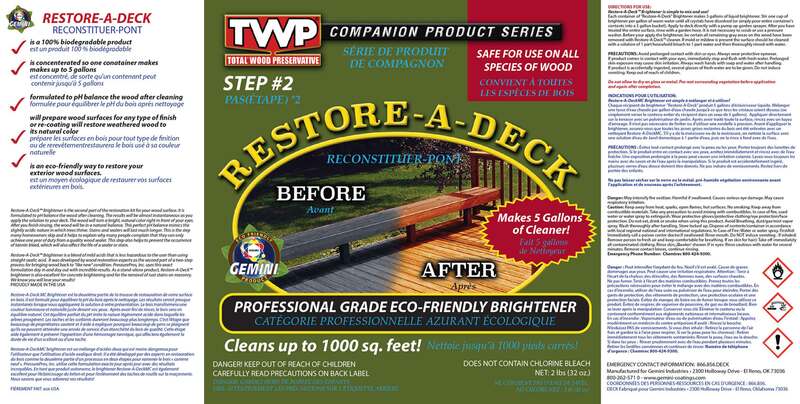 With Gemini's family of exterior wood restoration products you can remove all that dirty grime, restoring your wood to looking NEW! 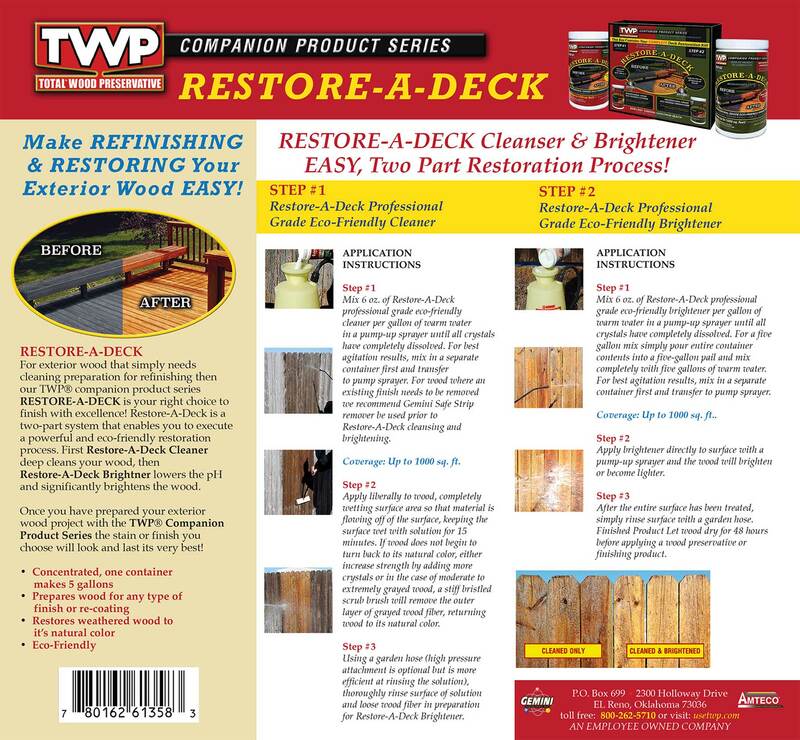 Restore-A-Deck Kit is an all inclusive wood cleaner and wood brightener system. 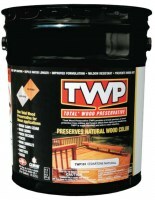 This kit when used together will prep you exterior wood for a stain application. 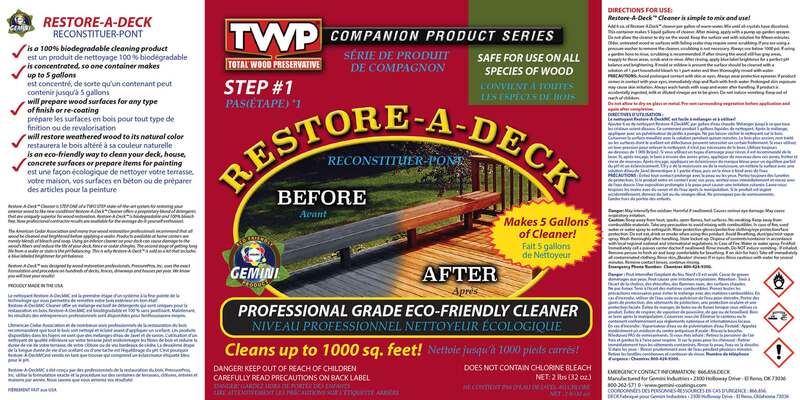 -Mix 6oz of Gemini RAD wood cleaner to 1 gallon of warm water. Make sure all crystals dissolve. 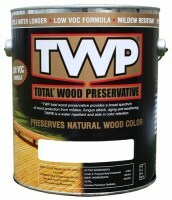 -Apply the Step 1 Wood Cleaner liberally to all wood. Keep the surface wet for 10-15 minutes then stiff scrub the wood or lightly pressure wash. Make sure to keep wood wet throughout the process. -Rinse all solution, dirt, and grime from the wood. 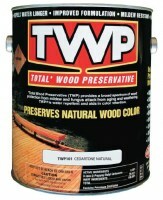 -Repeat mixing instructions for Step 2 Wood Brightener. Apply to wood with sprayer, wait 10 minutes, then rinse off! 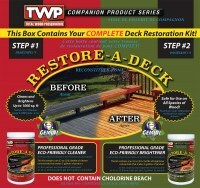 Awesome product for prepping decks! 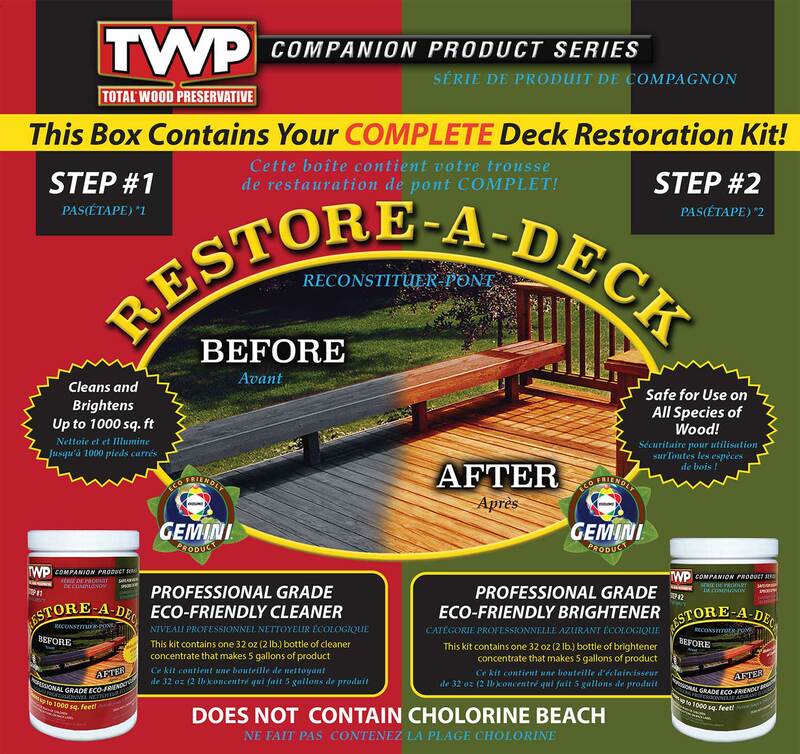 how is this product different from the Restore a Deck Package 300? Different manufacturer labels, same concept. Mike, not sure what you are asking about. This page is for the cleaner kit. The kit does not go bad when in powder form. I have a deck that is 5 months old and will only put one coat on now and the other coat later. How long will the unused last? How are you applying the cleaner? Hi, if we do not have a sprayer for applying the brightener can we apply it the same as the cleaner ? I assume I will need to put up a plastic sheet to shield the house from these chemicals? Or will it eat through a plastic sheet?